Hello lovelies, today i am going to talk to you about kitchen products. Everyone has their happy place, for me Kitchen is my happy place. I am not a good cook nor can i bake something good, but i keep on trying different recipes so that i can learn. As a person who is just learning i do tend to lean on kitchen products for my ease. Nowadays working in a kitchen is easier than it used to be ages ago. For practically every work in the kitchen you can without much of a stretch discover a kitchen product which can help you in that work. I have stocked up my kitchen with such handy products for my ease. Such products are not just for ease but can be found for very cheap price in stores and even online. 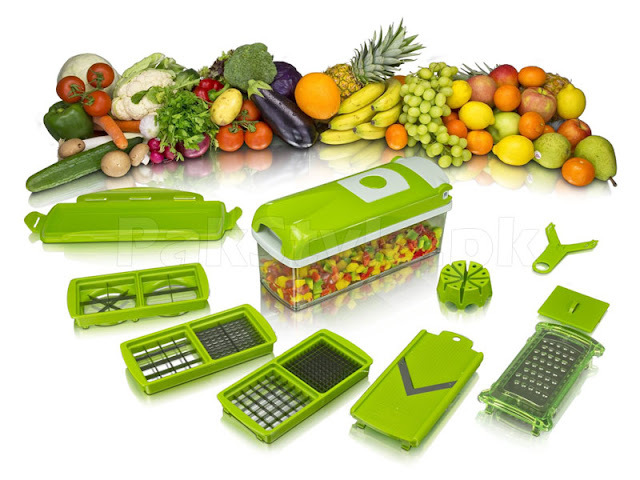 A genius nicer dicer plus comes in handy for individuals who detests chopping. A genius nicer dicer not only chops but can slice and dice as well. It spares you from squandering hours and hours on these tedious chores. Another good thing about this genius nicer dicer is that it is very safe and easy to use. Personally i love drinking fresh juices.My refrigerator is always full with fresh fruits as I am a person who actually enjoys fruits and juices. Products like Multifunction manual juicer are an absolute blessing for souls like me. 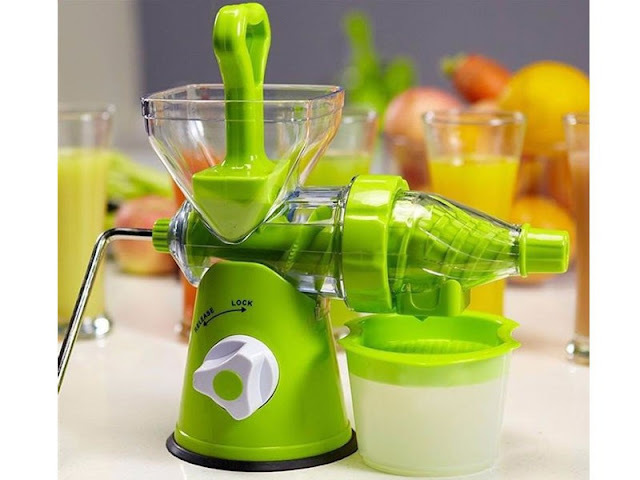 I feel this juicer is a must in every kitchen for maintaining healthy lifestyle. This juicer is manual but is very easy to use. What can be better than an organic/natural juice? I say NOTHING absolutely nothing. These kitchen products are easy to use, convenient, time saving and cheap. In my kitchen such products are a must ! Nowadays no one is stupid enough to waste time in chopping vegetables for Chinese rice for hours when they can easily dice them in one go! Seriously ! I am looking for this Nicer Dicer review.. using cutting board and knives is really a very hectic thing.. this is really a blessing for people like me who took alot of time in cutting stuff :) INSHALLAH will buy it soon ! !